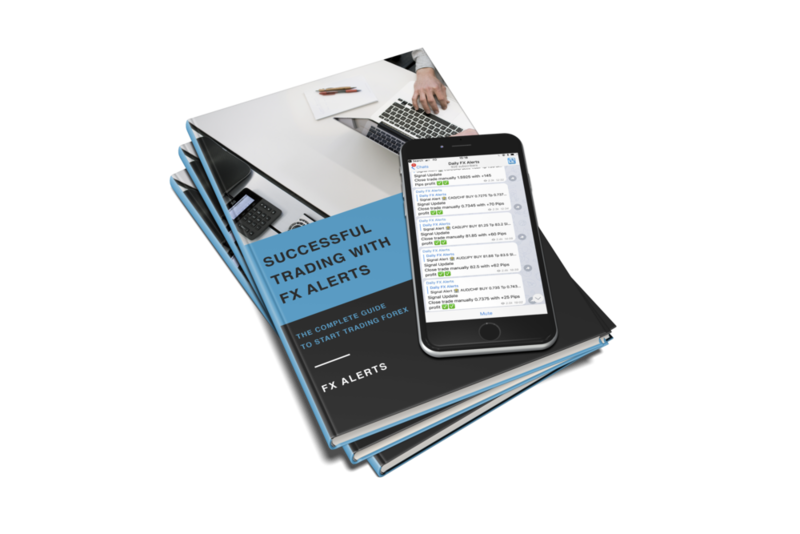 Expand your Forex Knowledge with our Quick Guide To Successful Trading With Fx Alerts. Stay up to date on market event with our premium signal service. Getting started with forex trading can be both exciting and frightening. Exciting because of the profit potential that forex trading presents, but frightening because there also exists the possibility of failing and losing money. As traders ourselves at FX-Alerts we understand completely, and have created a signal service that can help you get past the early stages of forex trading by providing everything you need to get started.. Our expert group of analysts scan the markets constantly. Looking for the best trading opportunities and delivering them to you with entries, take profit levels and stop loss levels. All you need to do is take action on the signals by placing trades. Read the e-Book to learn how to start trading forex with our group.